Fantasy Frocks is an Exeter-based seamstress service run by Helen Plewka. Helen’s creations range from costume reproductions and vintage alterations to alternative bridal wear. Her real passion lies in bringing her clients ideas to life, and will work with you to develop what might be just a fantasy into reality. 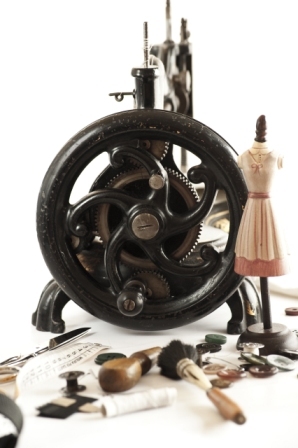 Helen undertakes all types of sewing work, making garments from scratch working on your idea or design, or will reproduce, adapt, alter or repair any item of clothing to suit your requirements. When working from scratch, Helen will construct a pattern then produce a toile to fit you. From there, any alterations can be made before cutting the fabric. Fittings are done throughout the process to achieve that perfect fit. From our workshop in Exeter, we offer a hand made service on every item we produce no matter how large or small. We work directly with both private and trade customers and will tailor our service to suit your individual requirements.